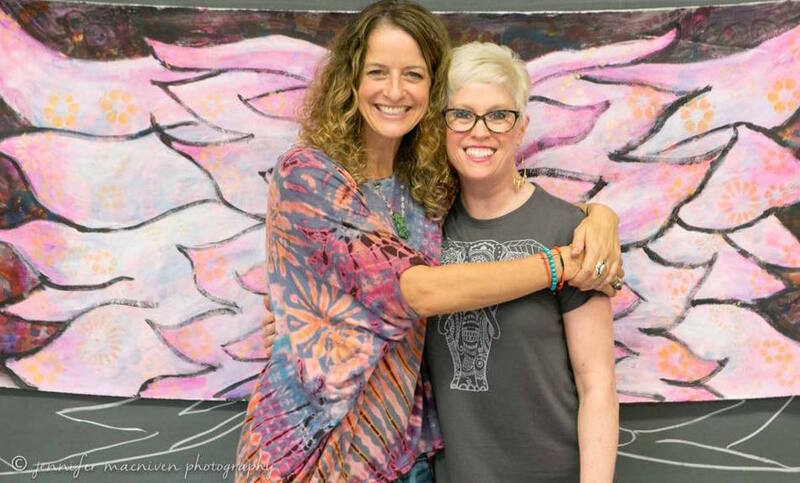 Join me and my guest Whitney Freya, who is devoted to helping you use art making as a spiritual practice to tap into the pure language of your Soul! She uses art as an energy work medium of the imagination and as a way to connect to the subconscious and Source energy, allowing for new healing insights and personal growth. Whitney is the author of three books on personal creativity, including The Artist Within, A Guide to Becoming Creatively Fit and her latest release, Rise Above, Free Your Mind One Brush Stroke at a Time. Watch as Whitney and I paint LIVE during the show together! Let’s begin 2018 with an art-infused BANG! I took Whitney’s Paint Buddha online class and loved the meditative, peaceful painting experience! 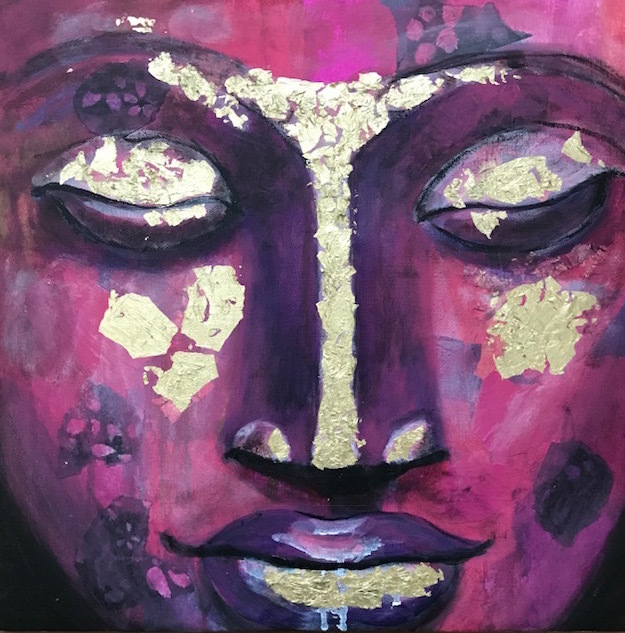 This was my first time painting Buddha and using gold leaf – so addicting! Want to create your own peaceful Buddha? Register here for Whitney’s online, self-paced Paint Buddha class! 6 video lessons to paint your own Buddha step by step – no art experience necessary! Whitney’s nurturing and spiritual art-making guidance!